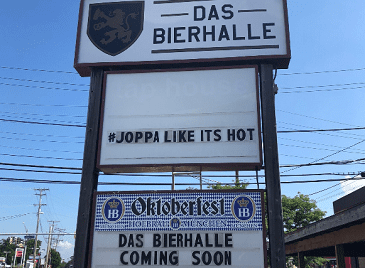 UPDATE: Das Bierhalle has pushed their opening date back to Tuesday, September 11, 2018. The Barn in Carney may be long gone, but an exciting new venue is set to take its place. Das BierHalle will open its doors on Tuesday, September 11, 2018. The venue will be Baltimore County’s first German bierhalle. The new bar will feature 24 draft lines, including 12 German beers and 12 domestic & craft beers. There will also be 60 other varieties of canned & bottled beer available. The Barn, a longtime Carney staple, closed its doors back in July. Das BeirHalle is located at 9527 Harford Road in Carney.